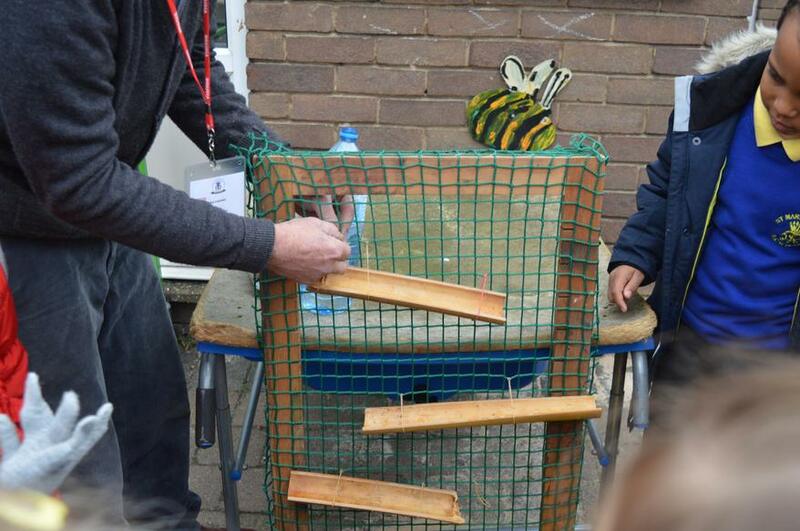 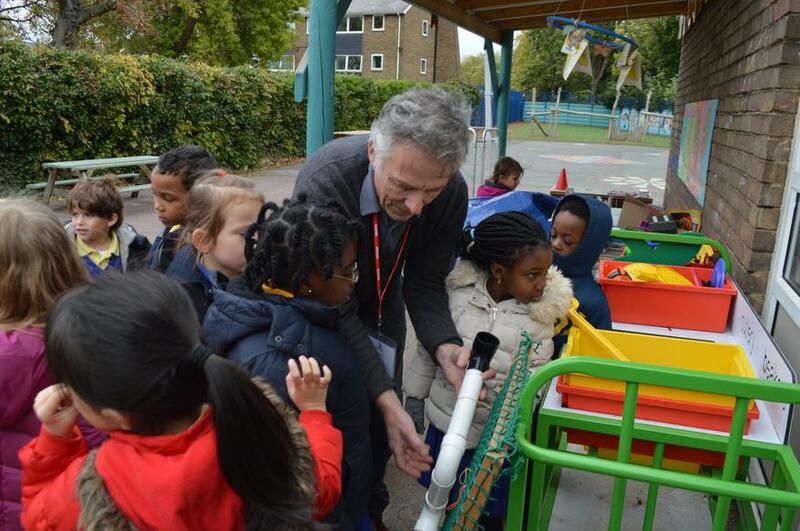 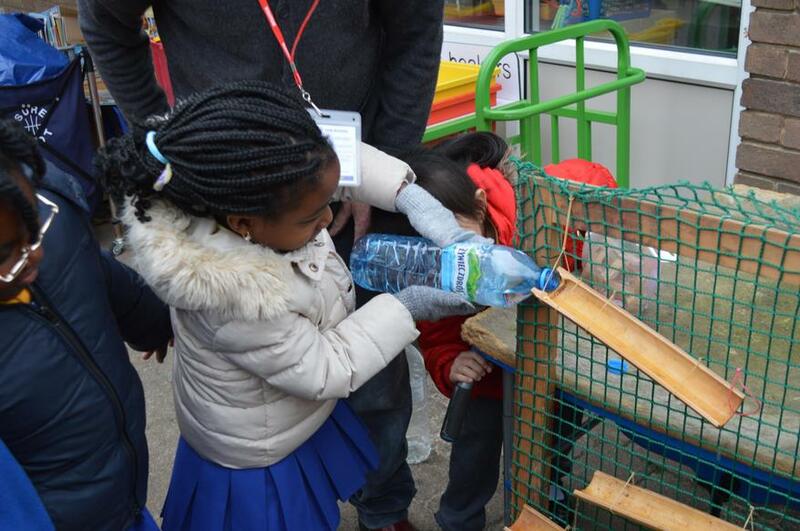 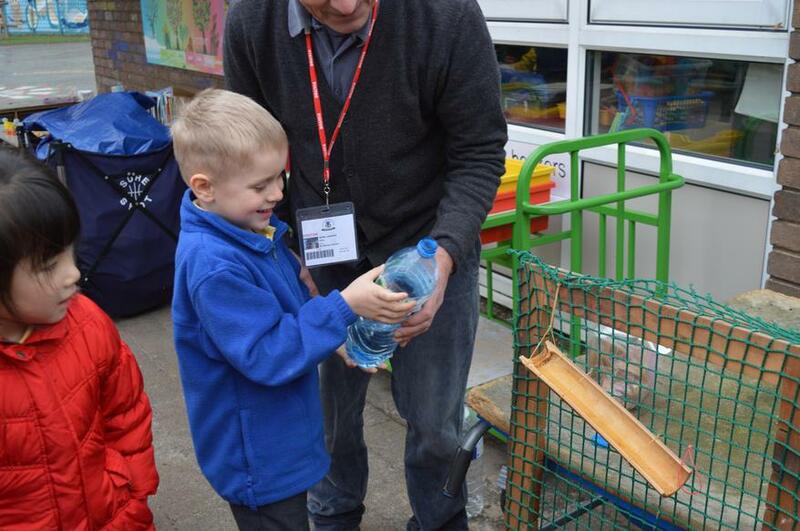 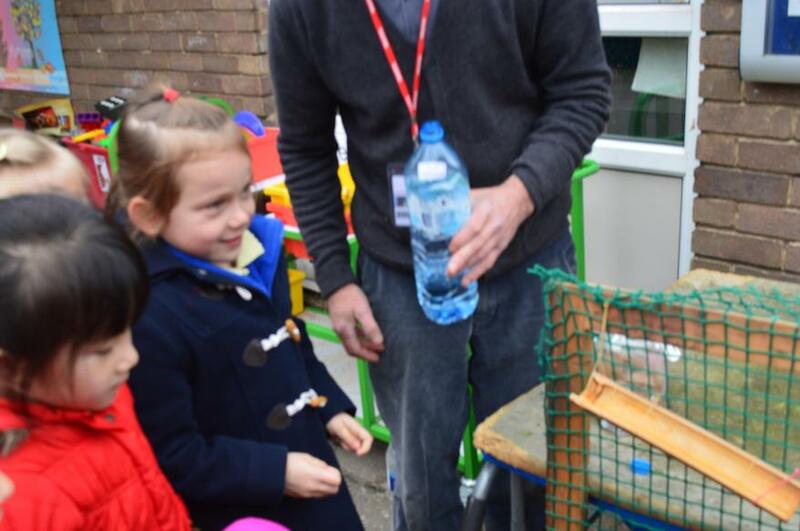 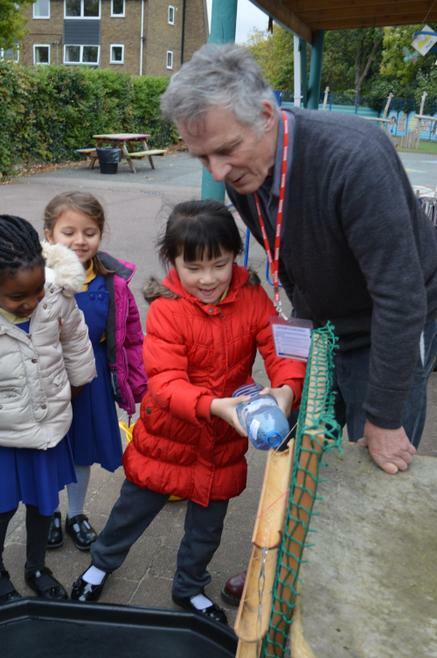 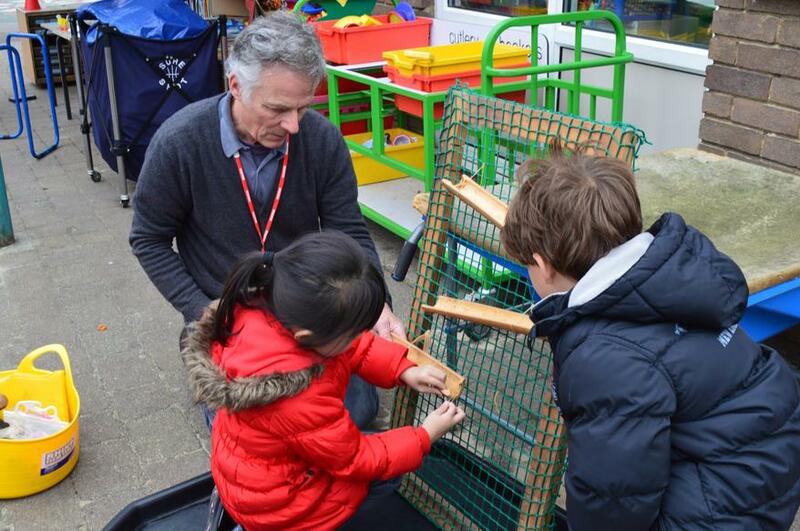 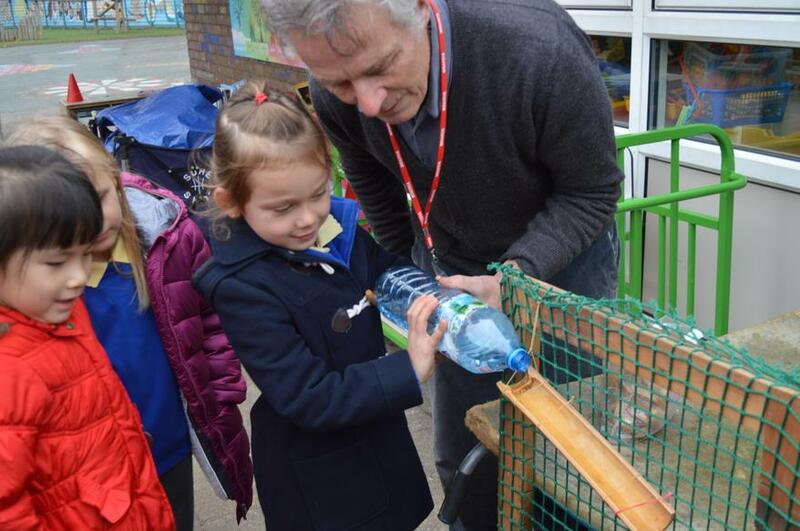 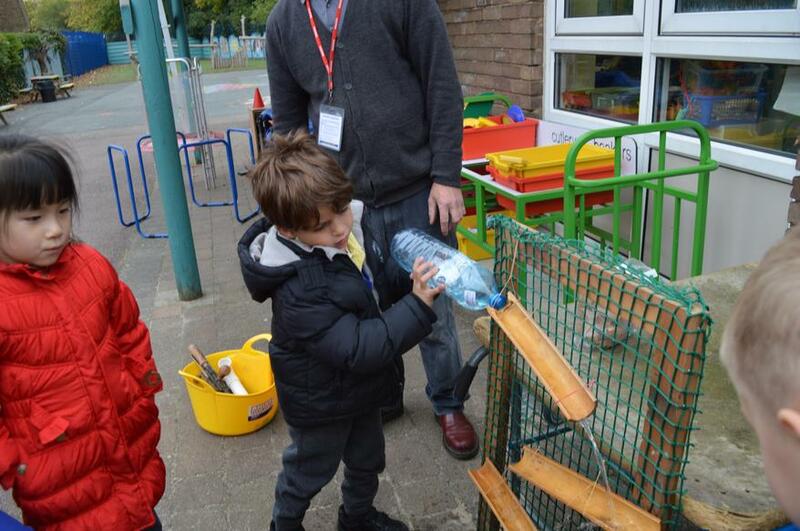 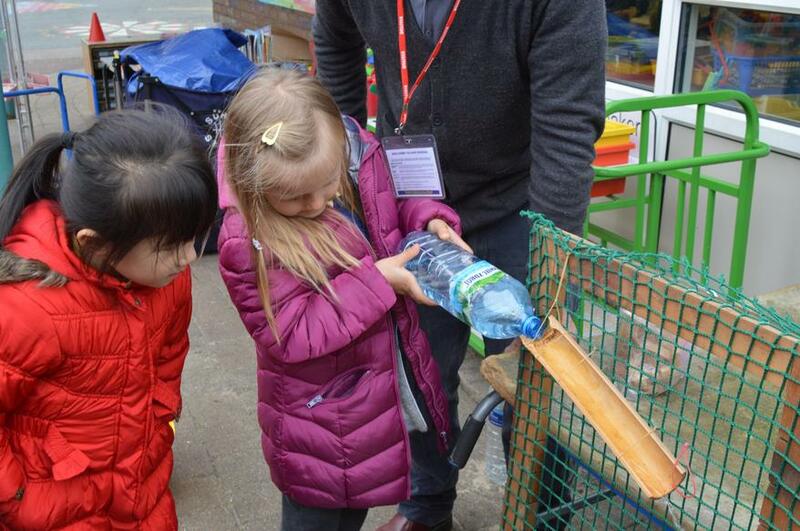 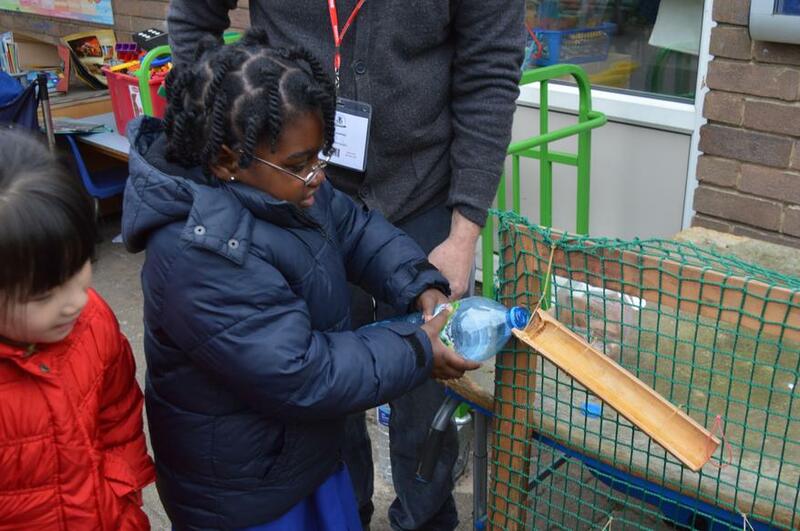 The Year 1 children worked with Giles in designing a water fall feature outdoors using recycled materials. 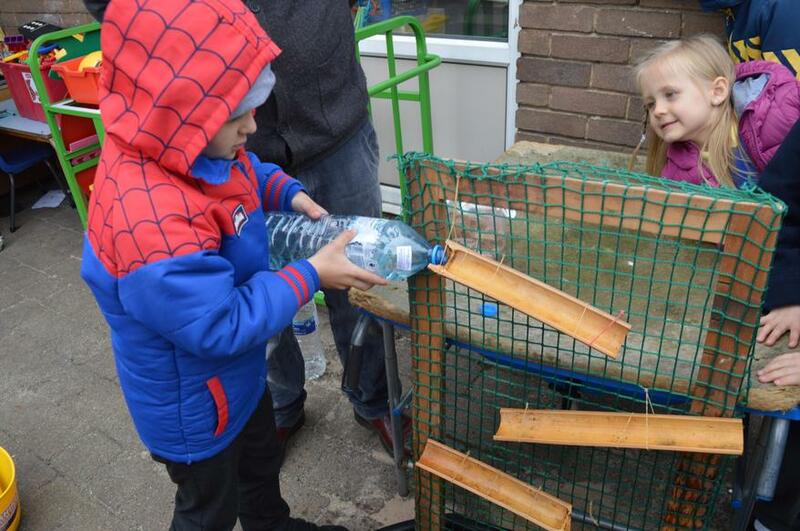 They drew their own designs with different water themes. 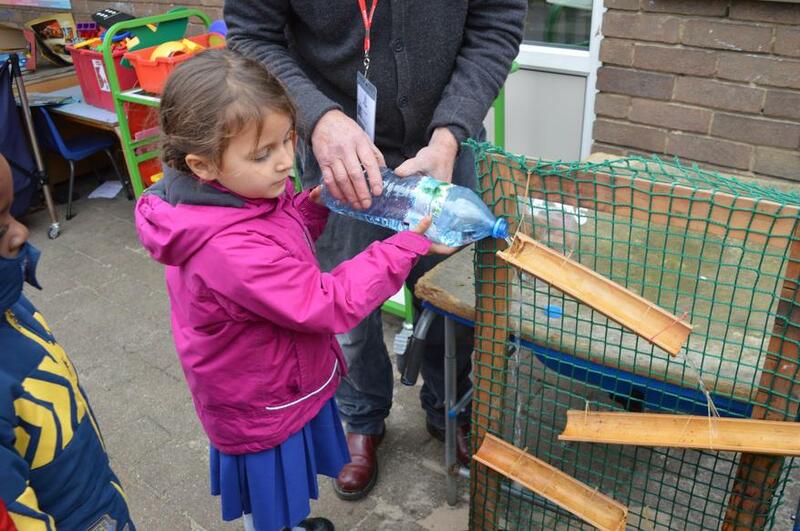 Marta from Robin Class said “we made a water wall. 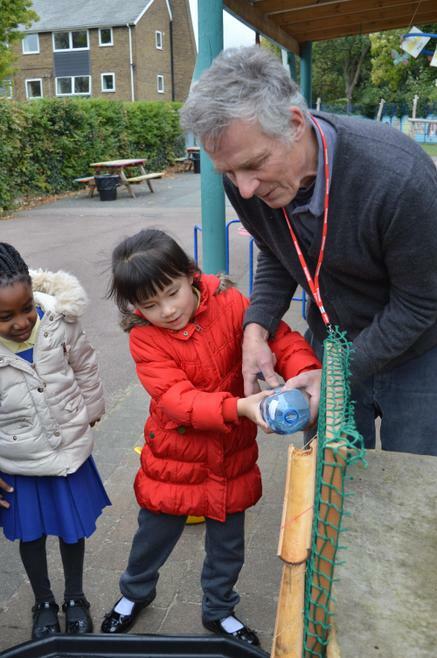 It looked like a fountain. 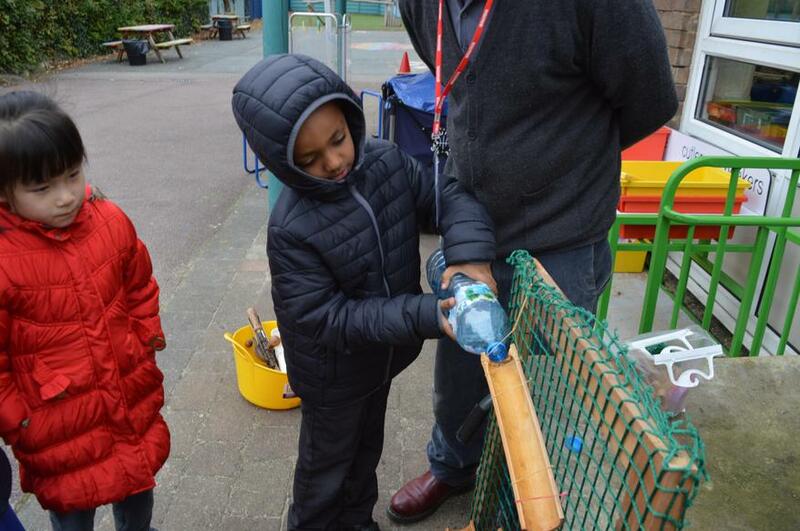 We used bamboo and plastic tube pipes to pour water”. 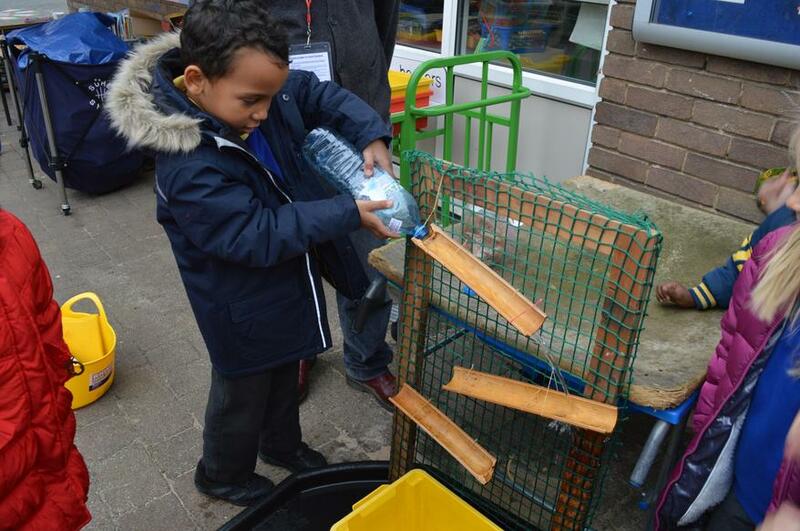 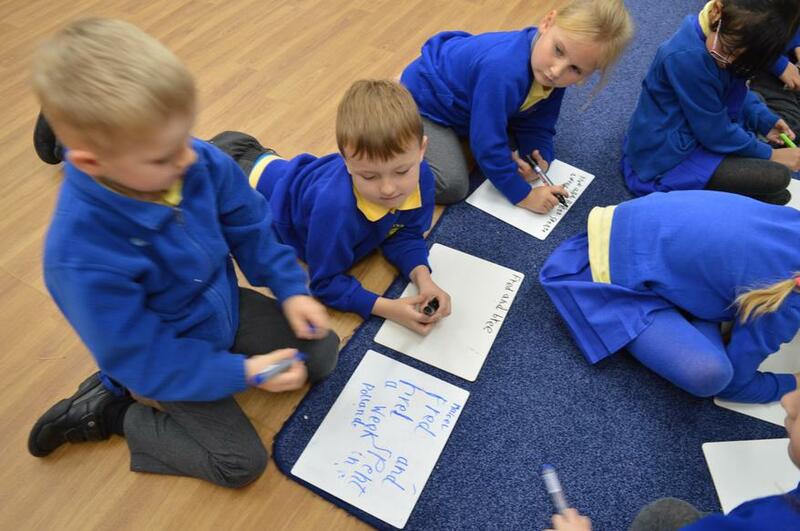 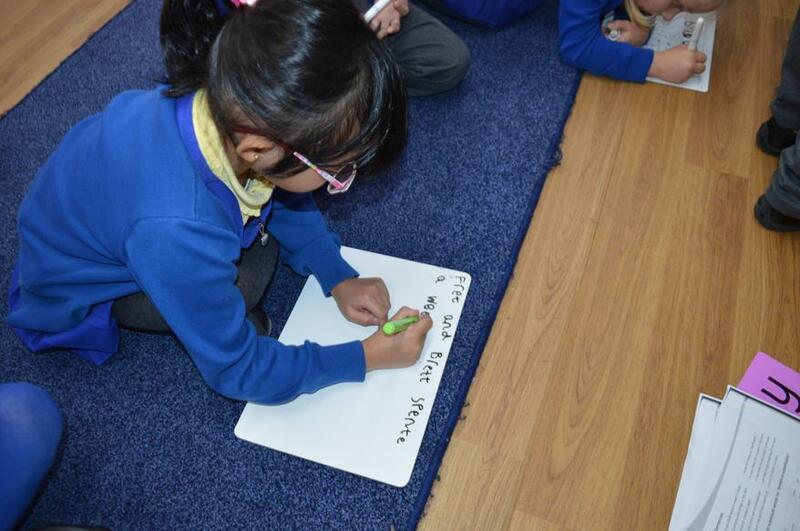 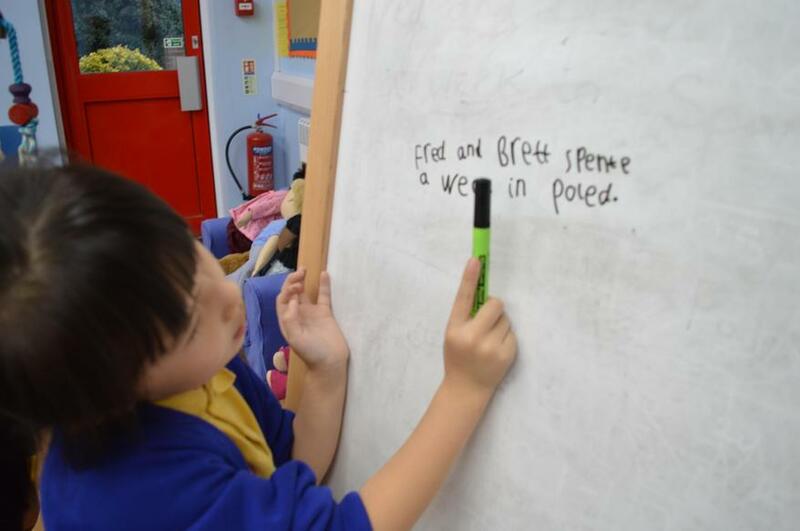 Marcel from Swan class said “we suggested that we should use recycled materials”. 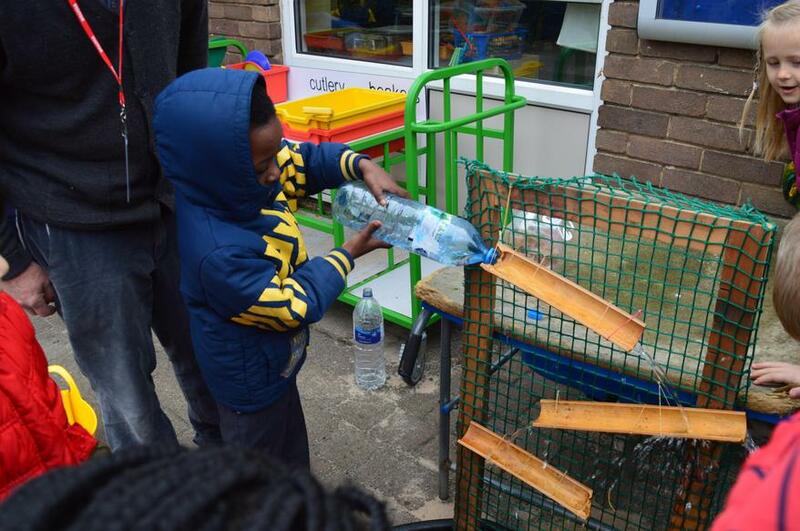 The water fall structure will help the children develop their scientific and mathematical skills.